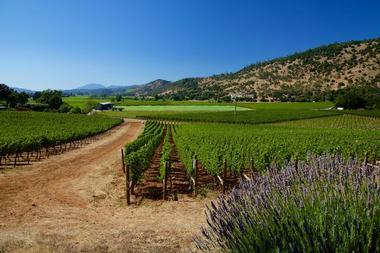 Napa is located north of San Francisco and is known for its vineyards and high quality wine. 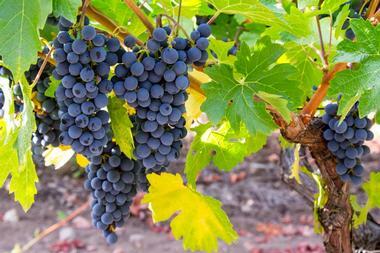 The peak tourist season is the grape harvest season between the months of August and October. 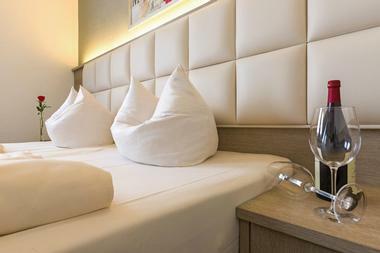 This is a busy and crowded time when room rates and the price of food are high. The months of March through May are a good time to visit Napa - there are less crowds and flowers are in bloom. September and November are often considered the best times to visit Napa. The weather is pleasant; there are less crowds; and hotel rates and prices for other things are not as high as during peak season. January is the coldest and wettest month in Napa Valley. Temperature averages are at 37°F (3°C) for the low temperature and 55°F (13°C) for the high temperature. Expected rainfall is at 4 inches (111 mm). Napa Valley Weather in February: As the final month of winter, February has the third coldest temperature in the year. The average low temperature increases a few degrees to 39°F (4°C) while the average high temperature sees a significant increase to 60°F (15°C). In March, the temperature continues in an upward trend with the average high temperature rising to 64°F (18°C). The average low temperature sees a very small increase to just 40°F (5°C). Precipitation rates decrease to 3 inches (64 mm). April sees beautiful spring weather in Napa. The average low and average high temperatures measure in at 42°F (5°C) and 68°F (20°C) respectively. Napa Valley Weather in May: As the last month of spring, May brings warmer temperatures to Napa Valley. Despite the increase in temperature, the low temperature average and high temperature averages stay mild at 46°F (8°C) and 73°F (23°C). Average rainfall decreases to 1 inch (21 mm). In June, the average high temperature sees a rather rapid increase to 78°F (26°C). The average low temperature increases to 50°F (10°C). July is the hottest month of the year with the high temperature average peaking at 78°F (26°C). The low temperature average hits 53°F (11°C). July is also the driest month of the year with absolutely no rainfall to be expected. Napa Valley Weather in August: Harvest season descends upon Napa Valley in August marking the start of the peak tourist season. During this month, the average low and average high temperature measure in at 52°F (11°C) and 80°F (26°C) respectively. In September, the average high temperature remains the same at 80°F (27°C). On the other hand, the average low temperature sees a decrease to 49°F (10°C). October brings cooler weather to Napa Valley and some light rain showers. The precipitation rate hits 1 inch (25 mm) while the average low and average high temperatures range between 43°F (6°C) and 74°F (23°C). Napa Valley Weather in November: The downward trend in temperature continues in November as the average high temperatures sees a steep and rapid decline to 4°F (18°C). The average low temperature also sees a significant decrease to 39°F (4°C). In December, the second coldest month of the year, the average high temperature falls to 56°F (13°C). Similarly, the average low temperature sinks to a frigid 36°F (2°C). Napa Valley is a beautiful holiday destination especially when it comes to wine lovers and sommeliers. The harvest season is, without a doubt, one of the best times to visit Napa Valley. This season takes place between August through October and allows great tours of vineyards and wineries alike. To enjoy the best of Napa Valley’s autumn foliage, the best time to visit is in October as the leaves strike a beautiful balance of colors. For those who simply want to visit Napa Valley when the tourist crowds have thinned, it’s best to come in between March and May when the peak season dies down. For more affordable trips to Napa Valley, plan your trip between the chilly months of December, January and February. There are several ways to get from the San Francisco International Airport and the Oakland International Airport into Napa and Napa Valley. There are major car rental agencies at both airports with desks in the arrivals area of the terminals of both airports. In addition to renting a car, staff will help with maps and directions to the Napa Valley area. Another way to get from the airports to Napa is by Airport Shuttle Services. 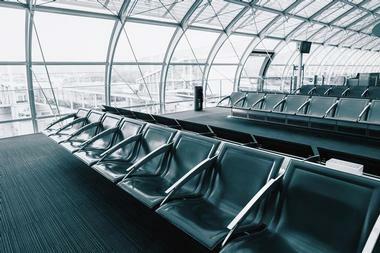 Both airports offer this convenient way to get from the airports to the city of Napa. The shuttles run on fixed routes and are a comfortable way to make the journey. The city of Napa and Napa Valley offer two visitor information centers. 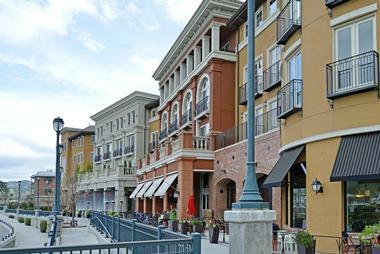 The first one is called the Napa Valley Welcome Center located right in the city of Napa at 600 Main Street. It is a large information center with high-tech resources as well as more tradition resources: professional staff members will be happy to help you decide what to see and do, where to stay, where to eat, and where to shop. The second information center is called the Napa Tourist Information Center: it is also located in Napa City. Napa Valley is home to more than 400 wineries and staff members can help you choose which wineries are best for you. For most people, getting around Napa Valley to see the many wineries means renting a car at the San Francisco International Airport or the San Jose International Airport; then driving to Napa Valley; and then using the rental car to visit the wineries. But once you arrive in Napa Valley you can leave your car parked at your hotel and explore the valley and wineries without using your car. There are bicycle tours, walking tours, and the use of public transportation: these all help to decrease pollution which is known to be bad for the grapes. The Vine is the public bus system that is easy to use to see Napa. Napa Valley restaurants are almost as well-known as the wineries and the valley! Napa Valley is home to some of the finest upscale restaurants in the area. Chefs use fresh seasonal, local, and organic products to create their delectable dishes. 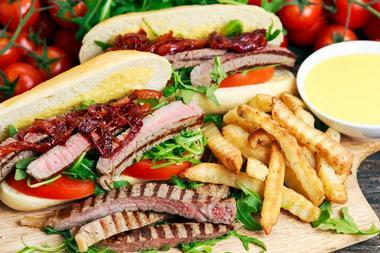 One advantage of this is that menus change frequently and visitors are able to try many different dishes. Naturally, in one of the most famous wine regions in the world, wonderful wine is served along with a delicious meal. Your server can help you select the perfect wine to compliment your meal. Wine is at the top of the list for shopping, but there are other things to buy in Napa including clothing and kitchenware. Napa Valley is a wonderful choice for a wedding with its amazing scenery and pleasant climate. 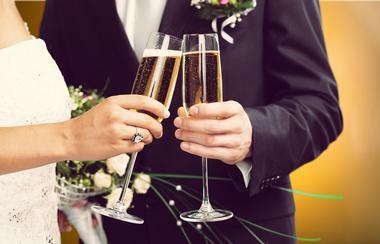 You need to obtain a marriage license from any of California’s 58 county clerks; and the marriage can be held anywhere within the state of California. There are many fantastic wedding venues in Napa City and in Napa Valley. The Charles Krug Winery is a spectacular historic estate and vineyard, perfect for outdoor weddings. The Silverado Resort and Spa is set among towering oaks and flowering gardens in the foothills of the Napa Valley wine region. The Chardonnay Gold Club is another great choice for an outdoor wedding in Napa. The city of Napa and Napa Valley offer a wide range of accommodations from five stay luxury hotels to simpler and less expensive hotels. Some of the hotels from which you can choose include the Napa Valley Redwood Inn Motel 6, the Best Western Elm House, Napa River Inn and Spa at the Historic Napa Mill, the Meritage Resort and Spa, and many more. Bed and Breakfasts include the Mcclelland-Priest Bed and Breakfast Inn, the Inn on First, Milliken Creek, and more. 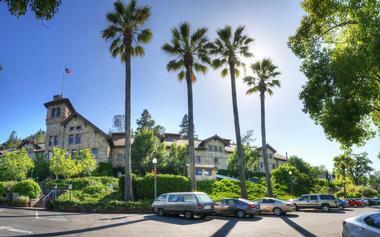 If you are interested in staying at a bed and breakfast, one good source is the Bed and Breakfast Inns of Napa Valley.